Waterfall project management method was published by Winston W. Royce, a software scientist working for the software division of Lockheed Corporation’ in 1970. The waterfall is sometimes also referred to as traditional project management method, but in this paper, we will use Waterfall exclusively. 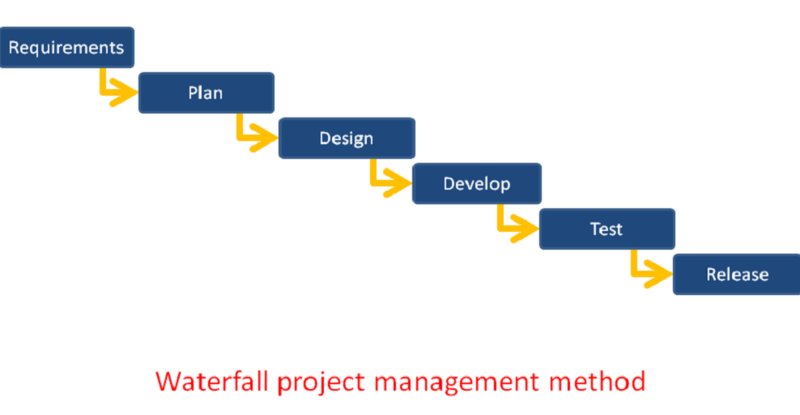 The concept of waterfall project management method is very simple; each step in planning, design, and development is worked on and finished before the next step could start. This creates a waterfall sequence which is extremely easy to understand, present to others and track. This cascading effect separates phases from each other. Waterfall project management was one of the first modern project management methods published in later part of the twenty century. This new method was widely embraced by managers and C-suite executives due to its simplicity and its perceived complete control of the process by the managers. 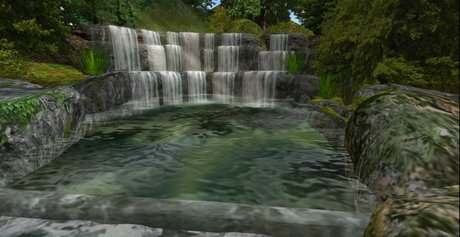 The waterfall was first employed in the software and IT projects. Later, it was adopted by tech-savvy companies working in discipline and industries as varied as marketing and PR. For a long time, Waterfall was considered the best way to manage projects, development process, monitor its progress and have oversight and visibility at each step of the process. A simplified image of waterfall project management is shown above. Each phase is worked on and finished before others can start. In reality, each one of the above tasks is divided into smaller tasks for further refinement and clarity. For example, the requirements phase is divided into gathering the requirements, analyzing them and publishing the requirement document. Waterfall project management method creates a sequential order the way products are planned, designed and developed. It speculates that the whole process of product development could be serialized and done in serial order. During the development, the phases don’t overlap. One phase needs to finish before the next phase can start. This simplifies the project plan tremendously. The waterfall was the primary project management tool used in most industries until newer project management methods like Agile or Hybrid came along in early twenty-first century. The release of Microsoft project application for Windows in 1990 which was based on waterfall method, made the adaption of waterfall method much easier and faster. The waterfall method is perfect for using Gantt Charts in the projects. Due to its sequential nature, the project plans fit nicely on paper and it is considered a great reporting tool. Using waterfall and Work Breakdown Structure or WBS for task management makes managing tasks much easier than before. The whole project from high-level phases to smallest tasks uses the same sequential format. The combination of Waterfall and WBS made planning projects a lot more organized. It gave the project managers a roadmap to plan a project from conception to product release and delivery. The combination of Waterfall and WBS made it easy to view each task and subtask in the Gantt chart. It also made it possible to show graphically the interrelationships between tasks and other tasks for the entire project. With simplicity comes rigidness of the process. In waterfall project management method it is extremely hard or next to impossible to change requirements when the project is in the development and testing phase. Testing is done last, so issues created weeks or even months ago, hidden from view until very late in the process. The process is very undemocratic and does not encourages collaboration and teamwork. Different teams in the project rarely collaborate properly. Traditionally Waterfall project management method was promoted by PMI and academic circles as the right project management method that should be used by everyone. Many developers had nothing but scorn for waterfall project management method. They pointed out that the process is artificial and does not fit the way knowledge-based work is done. The developers pointed out that all the challenges and difficulties in implementing some features are not obvious in the planning stage and the schedule made using early assumptions are just pie in the sky and are disconnected from reality. Another issue was that the project plan and the project reality were not the same. The managers were the last ones to know about the real state of a project. How do you know a piece of code is done until it is tested? If a part takes 10 days, on the fifth day is 50% of the work done? The love shown by project managers and executives was offset by the disdain shown by developers and those who worked on the project. The truth about the usefulness of Waterfall is somewhere in the middle. Some projects benefit from Waterfall method and some don’t. Below I have listed the advantages and disadvantages of traditional project management method. When starting a project, evaluate all three project management methods Waterfall, Hybrid and Agile project management and decide which one fits your project’s requirement and the way your team works. It is easy to understand and plan a project with Waterfall. Easy for the project manager to manage projects since uncertainty is taken out of the project and the plan is fixed. Phases of the project don’t overlap, one process is completed before another start. Full documentation for every phase of the project, some might say too much documentation. During the testing phase, it is very difficult to fix fundamental misconception or wrong design decision made in the project during the planning phase. No working product available until the end of project life cycle. This is a huge issue since it hides real problems from the team until it is too late in the project. Duo to Waterfall’s inflexible process, the final product might not meet the market expectations and new requirements. Not able to coop with requirement changes during the project life cycle. Not good for projects which involve research and discovery. Not a good fit for very long and ongoing projects. Not suited for projects which involve new technology which has not been proven or stable yet. It is not a collaborative process. The project manager and a few others plan and make project decisions. The team usually is not involved in planning and this causes major issues during development. The customer is in dark until later parts of the project. This can create a huge mismatch of expectations. Which projects should use waterfall project management? Projects which have a very good defined requirement which doesn’t change over time (making a bridge, a dam or a tall building). Which projects shouldn’t use waterfall PM method? There is no right or wrong project management method. It all depends on your needs and the composition and experience of your team. Hopefully, this guide will help you to select the right project management method for your next project. Binfire in addition to supporting Waterfall project management method supports Agile and Hybrid project management methods too. Try Binfire for free and see for yourself how Binfire can help your projects to finish faster. Agile vs Waterfall – which one is right? such info much. I used to be seeking this particular info for a very long time.